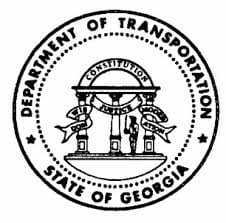 CARTERSVILLE, Ga. – Georgia DOT Maintenance crews begin today their work on repairing the deteriorating edges of pavement on State Route (SR) 225 in Murray County and SR 136 in Walker County. Work will proceed daily Tuesday through Friday between the hours of 7:30 a.m. and 5:30 p.m., weather permitting. Edge repair is a maintenance activity that is intended to guard against pavement failure along the edges due to the action of traffic and the loss of edge support that occurs due to the presence of water, aggressive-growth vegetation, and wind from either traffic or the atmosphere. Georgia DOT’s edge repairs are designed to minimize the effects of shoulder drop offs and maximize the safety of the roadway for the traveling public. You know that construction work zones are dangerous, but do you know that they are not always stationary? 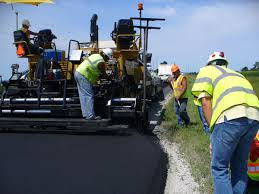 Moving work zones that conduct maintenance activities like litter pickup, asphalt repair, mowing, edge pavement repair, pavement marking and sweeping may move slowly and stop intermittently. Treat moving work zones like any other – Pay Attention – Slow Down – Watch for Workers. And always, expect the unexpected. Work zone safety is in your hands. « Previous Article BEFORE TURKEY SEASON BEGINS, DO YOU NEED A HUNTER EDUCATION COURSE?